The Office of External Relations (OER) team steered a corporate interview of Dr Habib ur Rehman Gillani, Managing Director OPF, on August 5, 2017, at the Lahore Regional Office of Overseas Pakistanis Foundation - OPF, Ministry of Overseas Pakistanis and Human Resource Development- Government of Pakistan. 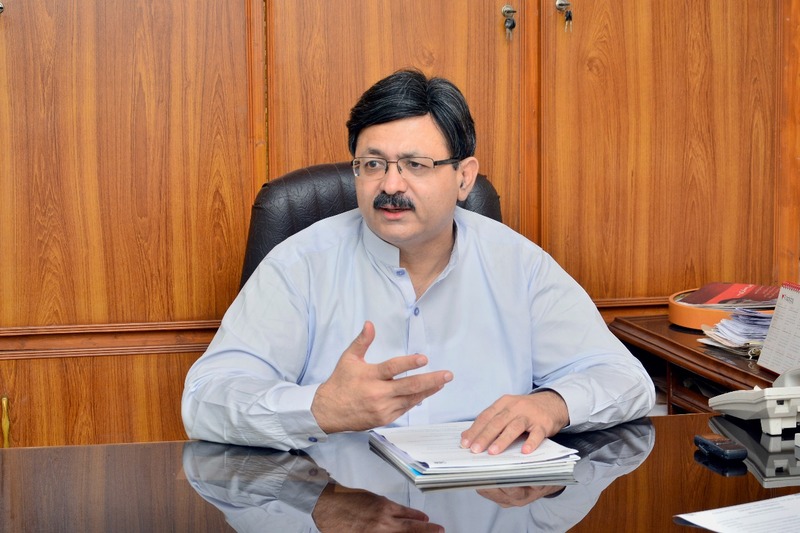 Dr Habib ur Rehman Gillani has more than 25 years of experience in Pakistan Administrative Services, (PAS) working in Punjab and Baluchistan provinces, Federal Government and abroad. His wide experience includes the working at execution as well as policy level of Government of Pakistan. During the meeting, Rana Iftikhar Ahmad and Dr Habib ur Rehman Gillani shared the visionary approach for the welfare of overseas Pakistani students and discussed the areas of interest for the collaboration and cooperation between OPF and UMT. Lastly, the Director External Relations also urged strong participation of OPF in endorsements, sponsorship and exhibitions towards IBCE 2017 and shared the highlights of the highly successful IBCE 2016 organized by UMT. Note:Complete interview will be published in ILMIANS magazine 2018 by Office of External Relations.